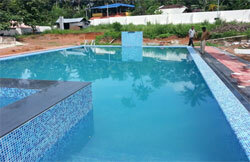 Eternity Pools undertakes it’s every work as turnkey basis of construction that is from designing to completion. 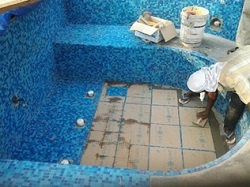 The different stages of our turnkey basis of swimming pool construction are excavation, PCC, Block work, steel work, primary waterproofing, guncreting, plastering with boding agent, cementitious waterproofing, tiling work and MEP works. There are many steps for the swimming turnkey construction. 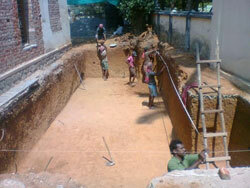 The initial step in swimming pool construction is the excavation process. It is the practice of digging a hole on earth with accurate measurements. The secondary step is PCC .The tertiary one is the block work. 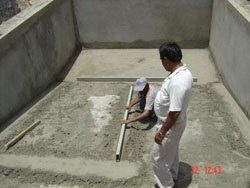 This process is the basic outline of the swimming pools. 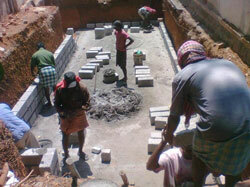 It’s is done with cement blocks and can constructed according to the design of the pool. The next process is the steel fabrication. This creates the actual skeleton of the swimming pool. 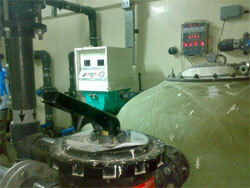 The next step prior to steel work is the bituminous torch applied waterproofing. 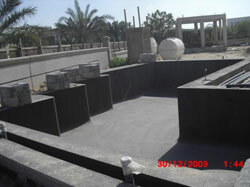 Bitumen is a water proofing material that is sprayed into the swimming pool floor to close the fissures and holes. 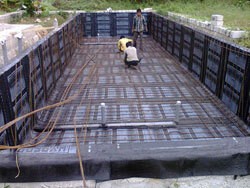 It acts as membrane on the swimming pool and its helps to prevent leakages in future. 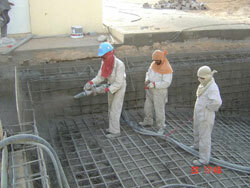 Guncreting is the done after bituminous waterproofing. 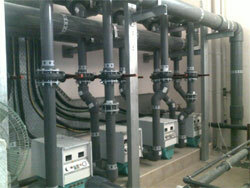 This mechanism is the application of mortar on swimming pool with the help of a pneumatic machine and hose. Then it is plastered with a bonding agent. Thus the applied concrete will become stronger and impermeable. Then waterproofing is applied. 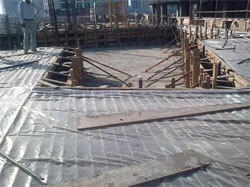 This water proofing method is called cementitious water proofing .The second last stage is the tiling works. The tiles are selected by overlooking at the design and color of the landscape and also have to be matched with the client’s requirements. The last stage is the MEP or Mechanical Electrical and Plumbing work .For the effective working and maintenance of swimming pool. 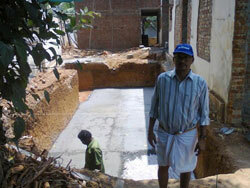 Then the completed swimming pool is given to the clients’ hand. Eternity Pools designs and develops all types and sizes of swimming pools including commercial pools, residential pools, infinity pools, plunge pools, overflow pools, lap pools, competition pools, practice pools and Olympic pools. We are always dedicated to the work and total client satisfaction.